Here’s a fun collection of icons ranging from arrows and shapes to buttons. 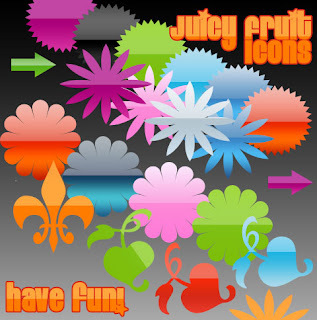 I’ve called the collection juicy fruit, they’re fun and summery! You can dowload the unflattened psd file here.